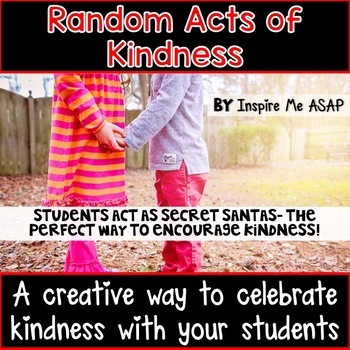 Radom Acts of Kindness - Secret Student Santas! When let the adults have all the fun with playing Secret Santa this season? 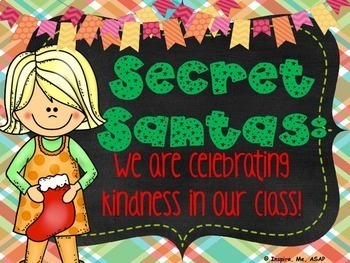 Let your students turn into secret Santas and perform acts of kindness for their peers...all in secrecy!!!! 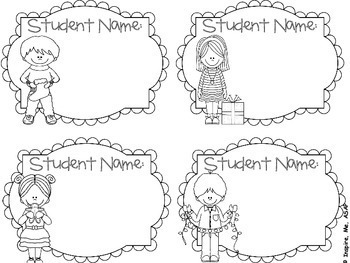 Students learn about positive character traits and end this lesson with a cute and creative art project. 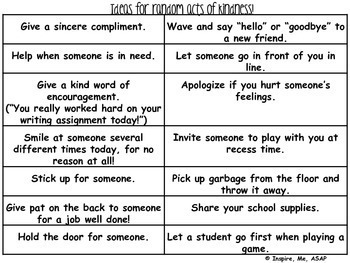 Kindness for Kids in the Classroom, Community, and School Setting! Learn More about This Resource HERE! Thank you for visiting my TpT store!